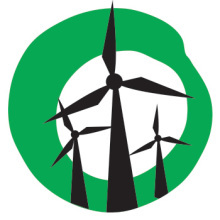 When thinking about wind workers, the first things that come to mind are the metalworkers who labor in enormous factories fabricating turbine towers; the construction crews dealing with the logistical challenges of installation; and the specialised electricians who monitor and maintain wind farms. The following is a guest post from a wind worker of a different variety. Ketan Joshi is Research and Communications Officer for Infigen Energy, and he loves wind energy. Here’s an article he penned for his blog, Some Air. The unenviable byproduct of a British upbringing is the burden of a massive dose of cynicism. Positivity? No, thank you. Sunlight? I shall pass, my good man. Working in a fledgling industry can sometimes be challenging, perhaps to extremes I did not foresee. Yet, these extremes are rich, enduring and memorable – more so than the static, barely-perceptible trajectory of some unexciting, entirely predictable career. Despite the inevitable downs, and the reassuring ups, I still bear an immutable love for science, technology, logic and data. I find myself deeply intertwined with wind energy technology, and I happen to genuinely enjoy several aspects of this particular configuration of fibreglass, wires and electrons. These things extend beyond the steel walls of the machine – they comprise everything I’ve experienced and seen, in the relatively short time I’ve been part of the renewable energy industry. So, these ten things are not the best things, or most important things. They are ten good things. Karl is a black cat, who lives at Lake Bonney wind farm. She was originally spotted by one of the technicians, on site – stray, hungry and mildly unfriendly. The person who took her in thought she was a boy, and so, she was named ‘Karl’. Karl seems vaguely effeminate anyway, so it’s not too wild a transgression. I like Karl. She’s healthy, and extremely weird. During a site visit in 2011, I sat in the site office, working on my laptop – Karl sat beside me, furiously batting at the mouse cable that hung near her face. Her concentration broke suddenly and she was infected with a powerful urge to scratch desperately at my jacket. I also spent a fair bit of time watching Karl chasing what can only be described as nothing. She sat, crouched and determined, watching an empty pocket of air. She pounced, grabbed at the nothingness, and then proceeded to strut meaningfully away. Karl is content living at a wind farm. Not too long ago, I was working in the Operations and control centre – the part of Infigen where we monitor the wind farms remotely, 24 hours a day, 7 days a week. In 2011, I had the chance to take part in a question and answer session with seven different primary schools through a fantastic video conferencing system, at the Australian Museum. Kids like wind turbines. They’re impressed by size, and they like technology. But, more than anything, they’re inquisitive – ideology seems to be alien to them, and so, they simply soak up information with an inimitable eagerness. It was fun. These are the individuals who are going to be dealing directly with both the impacts of climate change, and the ever-increasing impetus for changing our generation tech. Kids are little scientists – they seem to relish both inductive and deductive inquiry. Their fondness for understanding the mechanics of the world, rather than purely engaging in delusion, is brilliant. The average household consumer does not really worry about how the states in the National Electricity Market (NEM) are connected. As it turns out, interconnection is a big issue. South Australia has a significant installed capacity of wind power. Wind energy is variable – its pattern of generation does not always follow the pattern of demand. Consequently, there are times at which demand may be low, but wind generation may be high. When this happens, usually very early in the morning in South Australia, generation simply drops off. A lot of wind farms shut down, in response to massively depressed price levels (in the negative region). In the near future, they won’t need to shut down – the capacity for electricity to be exported from South Australia to Victoria is being upgraded. Electranet’s decision is a good thing – this means more electricity from renewable sources can be utilised, and the spoils of carbon-free power can be spread more widely across the NEM, and to a greater number of Australian households. Not many people have been up close to a wind turbine. It’s easy to underestimate the size of one, simply looking at it from a distance. It’s an optical illusion that occurs because the nacelle and the rotor are, from our perspective, framed only by the sky – consequently, we have no reference to judge their size. Up close, you get a feel for the silent majesty of these machines. Usually, we associate size with noise. For instance, a coal truck is incredibly large, and unsurprisingly, incredibly noisy. We expect big things that move to make a lot of noise. Yet, when you stand beneath a wind turbine, watching tons of fibreglass and steel rush overhead, the sound level is astonishingly low. This contradiction, between large size, rapid movement and low sound level, is something I find oddly marvelous, and a lot of people express the same sentiment during wind farm tours. “Four-fifths of the world’s energy still comes from burning each year four cubic miles of the rotted remains of primeval swamp goo. Those fossil fuels have built our civilization. They’ve created our wealth. They’ve enriched the lives of billions. But they also have rising costs to our security, economy, health and environment that are starting to erode, if not outweigh their benefits. Watch it. It’s worth it. The sentiment he expresses is, definitely, a good thing. Experimental technologies are cool, and wind energy has its fair share of weird and wonderful fledgling innovations. Not all of them will take off, but some of them will, and outside of the actual economic and technical viability of the machines, they are simply fascinating products of imagination, inventiveness and innovation. 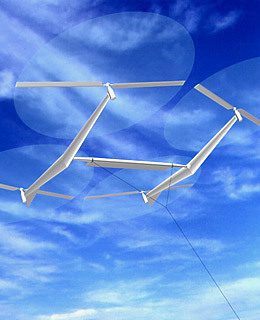 There are many, but here’s one: Air-borne wind turbines, tethered to the ground. Another is the poetic ‘windstalk‘ – hair-like cilia that bend when the wind blows, and generate energy. Theo Jannsen is a Dutch artist, responsible for designing and building ‘Strandbeests‘ – wind powered sculptures that roam beaches, powered purely by wind. They are truly incredible, and extremely beautiful. The artist describes them as ‘new forms of life’. clip 1klein kl from Strandbeest on Vimeo. To me, they capture the poetry of harnessing the kinetic energy stored in the wind. This energy is ancient and ubiquitous, and it breathes life into these seemingly self-aware sentinels. To extract energy from the wind is to blend physics, science and natural laws with engineering, environmentalism and the classical human need to invent. As part of the sustainable living festival in February 2013, Hepburn Wind, Australia’s forefront community wind farm initiative, called in the efforts of Ghostpatrol, a Victorian artist. He painted a beautiful mural on one of the wind turbines. The idea of using a wind turbine as a canvas for art has an incredible amount of potential, and I really hope we get to see more of this sort of thing in the future. Check out the Hepburn Wind Flickr stream for more. We can see that wind contributed meaningfully to electricity demand in South Australia. This is a good thing – a large amount of energy (remember, that’s after we take into account capacity factor) was sourced from renewables in South Australia. Click here for the animated USA wind map. The graphic is mesmerising, and neatly represents how wind power varies, churns and flows across a continent. It’s also based on real-time data, acquired from a database, and drawn together in an intelligent and aesthetically pleasing format. Those are ten good things. There are many more. Next Next post: Department restructure: green light for dirty coal?